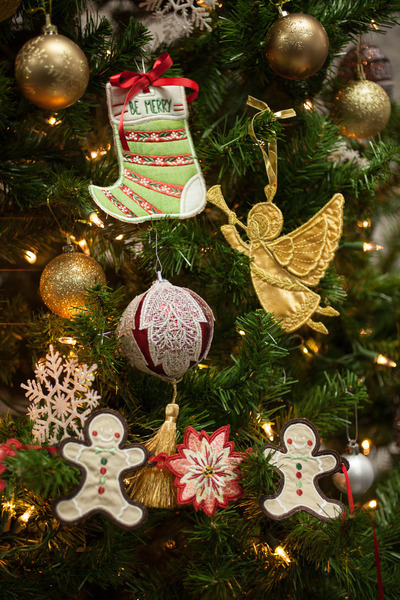 Holiday Extravaganza is all about creating gorgeous holiday-themed projects that are perfect for decorating your home and spreading joy this season! With this collection, you will learn quilting and embroidery techniques and how to apply those techniques to creating quilt blocks, mini zippered bags, greeting cards, gift tags, and even a snow globe! Each project comes with a list of materials and step-by-step instructions to ensure that creating these designs is easy and fun. 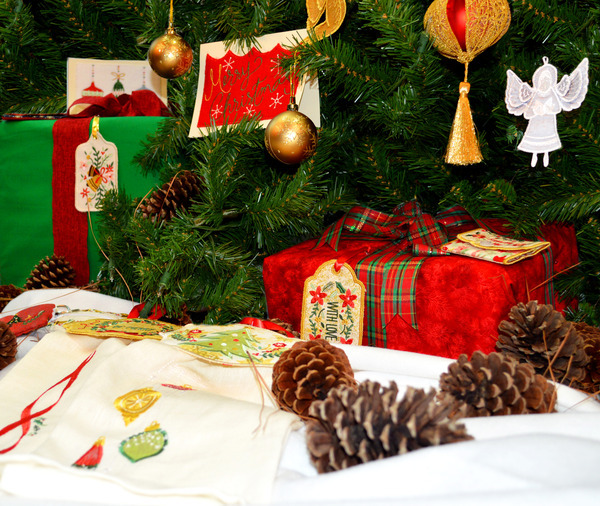 With Holiday Extravaganza, prepare for the upcoming holiday season – it’s the most wonderful time of the year! 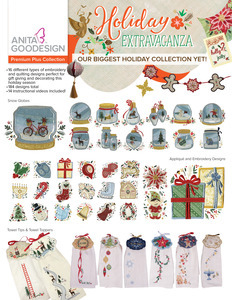 With over 184 designs total this is our biggest holiday collection yet! 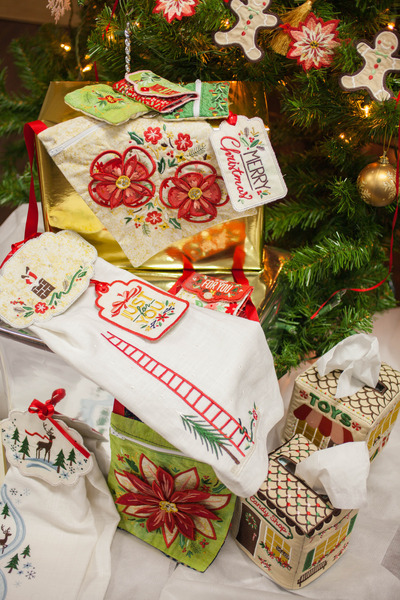 There are 14 fun tutorial videos with our educators included and 16 different types of embroidery and quilting designs perfect for gift giving and decorating this holiday season! 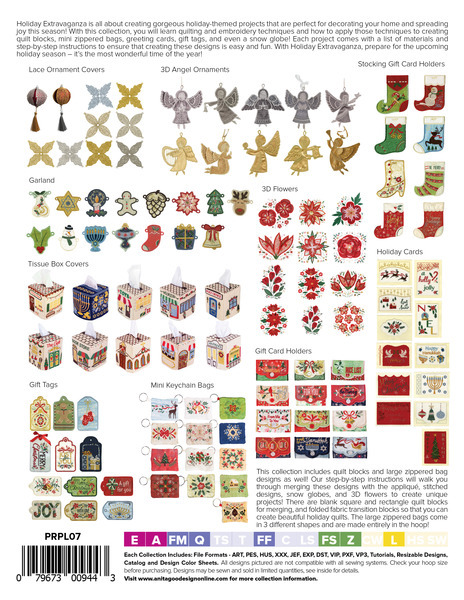 There are over 180 designs you can use for decorating and gift giving this year! 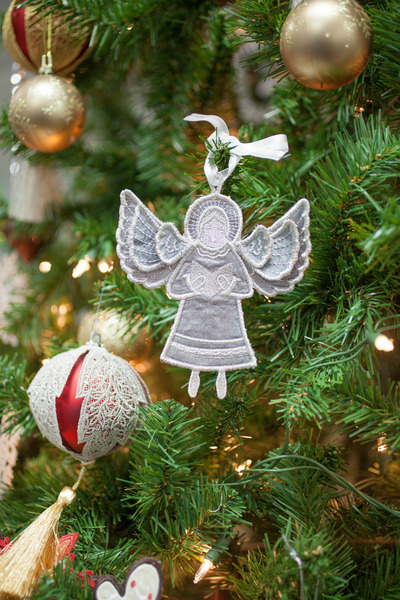 This is the perfect collection for spreading joy this holiday season! Holiday Extravaganza. OUR BIGGEST HOLIDAY COLLECTION YET! projects will help you bring joy to those around you for years to come! Includes 4 different base designs! add an eye-catching look, while the 3D flowers use our freestanding technique to create a brilliant pop! these quick and easy in the hoop projects! Create gifts for everyone on your list! 14 video tutorials are included!